Directions: The Hudson River Waterfront Walkway is a spectacular pathway on the western shore of the Hudson River in New Jersey. The state has planned the Walkway to exist immediately adjacent to the river in a continuously connected 30 foot wide path from the tip of Bayonne to the George Washington Bridge. The Walkway provides free access 24/7 for the enjoyment of the general public. 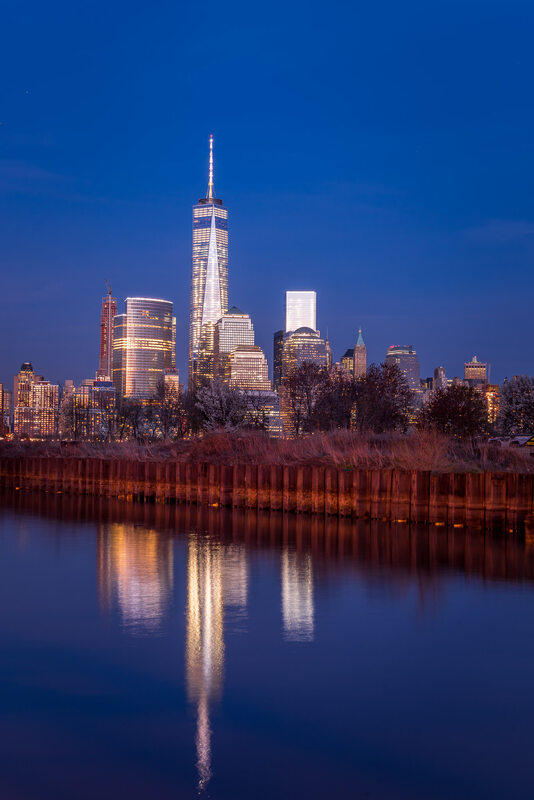 This is a go to place for all age groups.Having said that this is also very famous location that give you a downtown landscape covering Freedom Tower to Empire State Building. You can come here any time of season, just be sure to wear the right gear for extereme weather. Way to this place – Newport is well-served by transportation links to New York City including the adjacent Holland Tunnel for access to lower Manhattan, as well as having good connections to the rest of New Jersey via the New Jersey Turnpike.Public transportation consists of the Hudson Bergen Light Rail and the PATH which have stops in Newport (Pavonia-Newport). Ferry service operates weekdays during rush hours at 30 minute intervals. The area is also served by several New Jersey Transit bus lines as well as some private bus lines. I was practising my Long exposure technique using ND10 stop Hoya filter post noon. I did manage to take some nice shots. 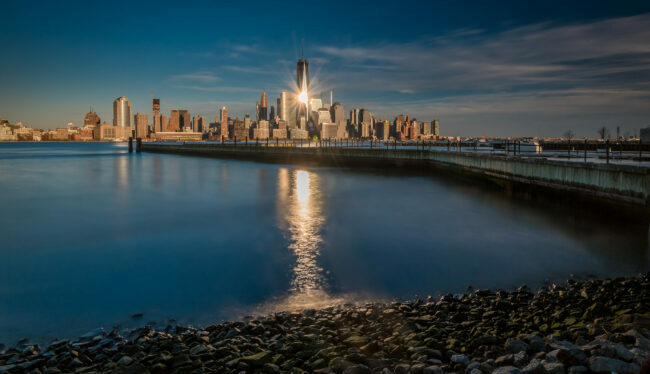 But this was one of the shot which I took just when the sun reflection on to the Freedom Tower was making its mark about at the center.This shot was taken on Nikon D750 using Nikon 16-35mm f/4 lens and recipe for this shot is : Aperture f/22, focal length 18mm, shutter 20 sec (Gitzo GT1544T Tripod), ISO 125. Planned to take rest near Newport Yacht Harbor next to the Waterfront Walkway. That is when I decided to wait for the blue hour and took few shots using my Nikon D750 with Nikon 24-70mm f/2.8 lens. I used Hoya FL-W filter to enhance violet and Golden tones for the shot with Yacht. Also stopped down to get the star burst affect which came out good. Guests can pre-register for a speedy check-in and repeat guests at IGY properties are quickly recognized.You will quickly make friends with your fellow cruisers. They have a distinctly international clientele, with regular visitors from the Americas, Europe and elsewhere. 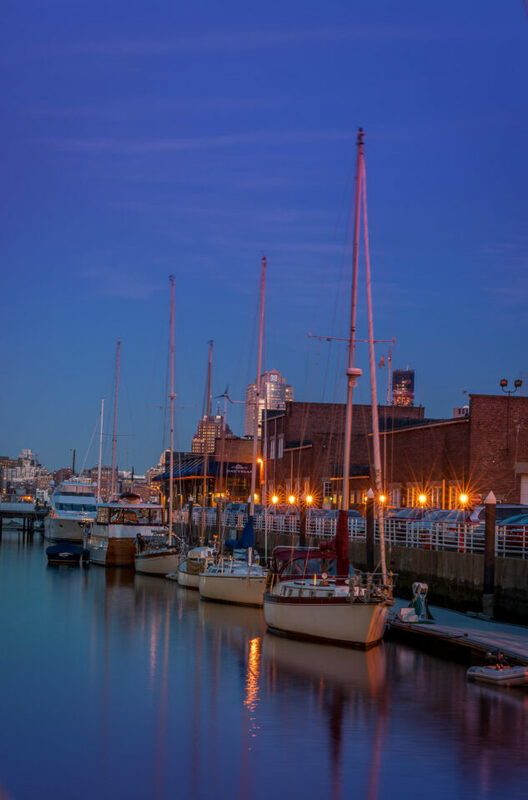 All of this makes Newport Yacht Harbor marina not just another berth, but truly a “home away from home” for visiting yachts. Awesome Pics Abhisek. Superb story line.